Bill Medlen has been appointed graphic designer at J.R. Thompson, a Farmington Hills-based marketing and communications firm. He will be a visual communicator with a group that collects information, analyzes it and determines the best solutions for client marketing challenges. Medlen will develop the overall layout and production design for advertisements, brochures, and magazines. With more than 10 years of experience working in the printing industry, Medlen works in the design stages from conceptualization to graphic finishing. Previously, Medlen worked at Allegra Marketing in West Bloomfield. 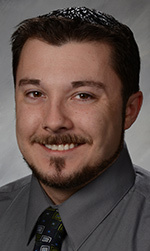 Medlen, of Waterford, earned his bachelor’s in graphic design from Baker College in Auburn Hills.